More power. More recharges. More durable. Same price. We’re happy to continue Volto's winning tradition with Volto 3 - an amazing little green machine! 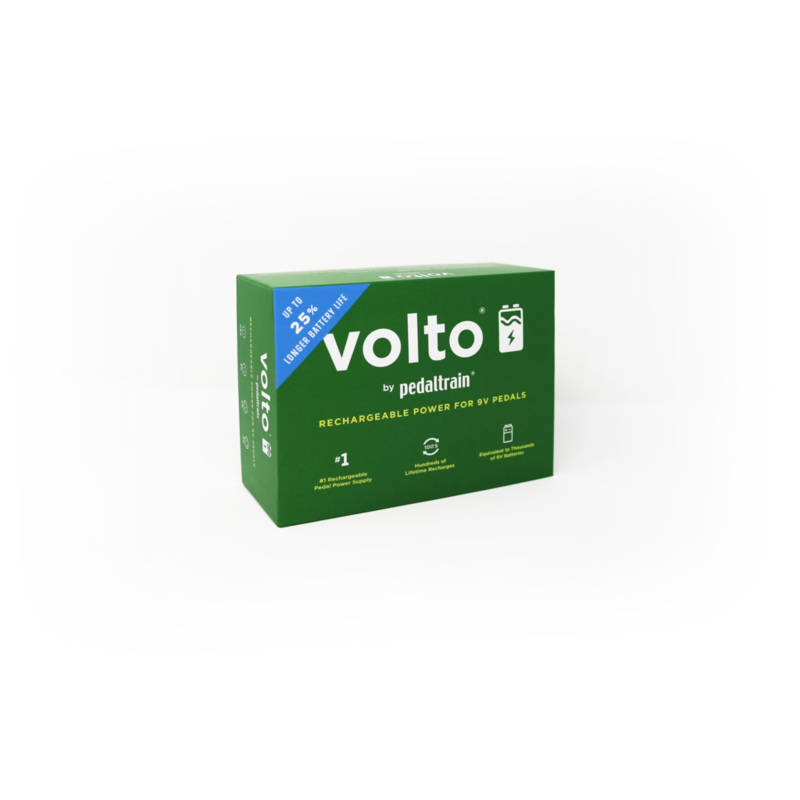 A modern alternative to expensive, unreliable, and environmentally hazardous 9V batteries, Volto 3 is engineered for hundreds of lifetime recharges, replacing thousands of 9V batteries - that’s good for your wallet and the environment. 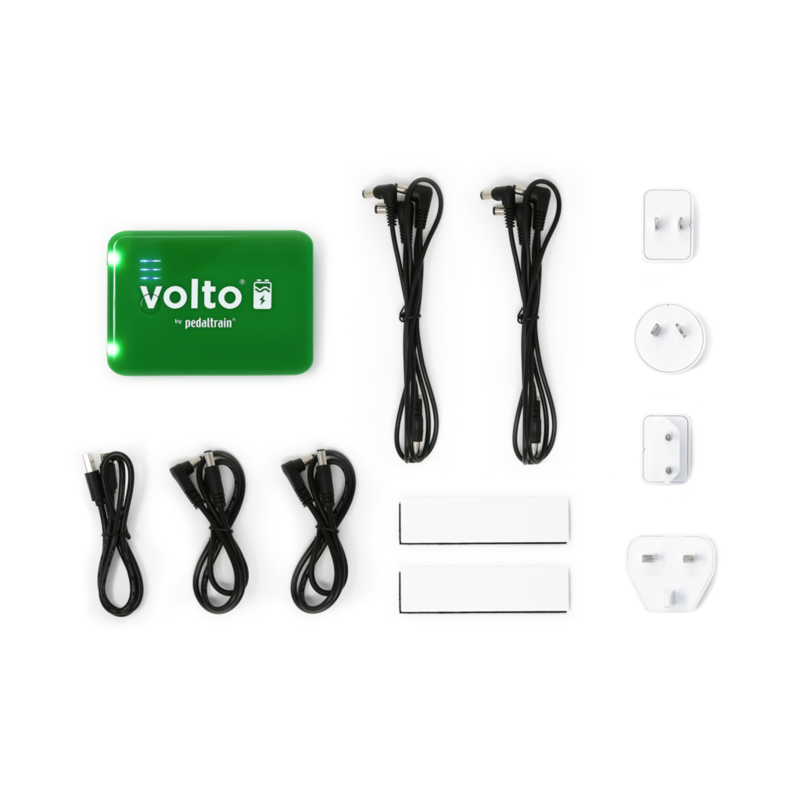 With new Battery Health programming to protect against overcharging, Volto 3 boasts double the lifetime recharges of previous versions. 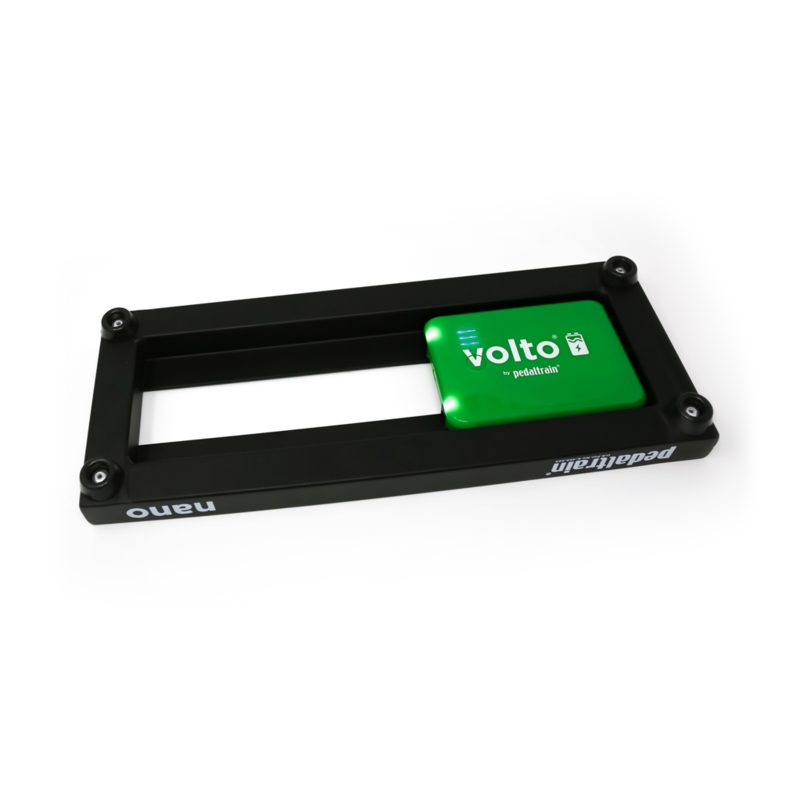 Volto 3 is compatible with all Pedaltrain models. Its slim design, about the same size as a smartphone, makes it a great choice for small pedalboards like the Pedaltrain Nano and Metro series. 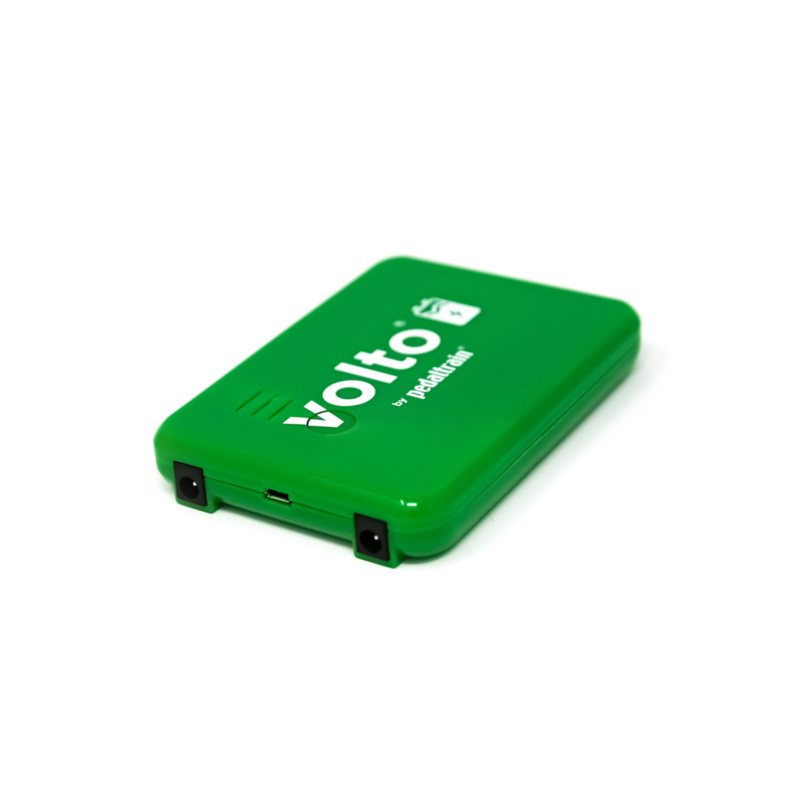 The redesigned green shell has a triple reinforced USB housing to make it the most durable Volto yet. Included with Volto 3 are two 3-position daisy chains, two single-end straight cables, an AC charger with international plug adapters, and two strips of hook-and-loop for mounting to your Pedaltrain pedal board. 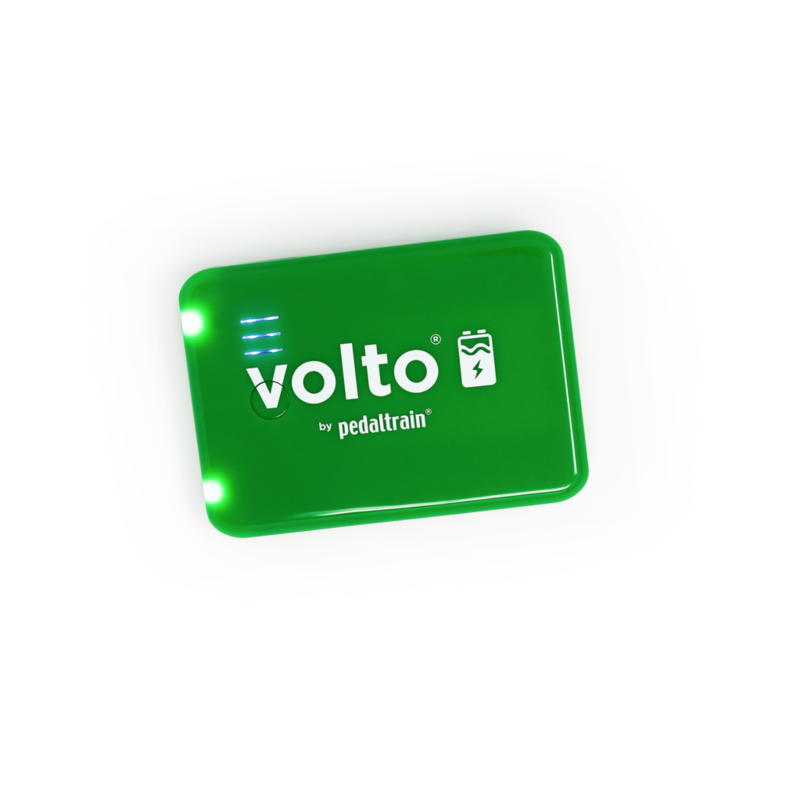 Volto 3 is capable of providing 6200 mAh of power to light up as many analog 9-volt pedals as you like. Battery life will vary based on the total current draw of the pedals you are powering - the more pedals you use, the faster the battery will discharge.